View Poll Results: The best tank in WW2. Thread: PzKpfw V Panther....the best tank in WW2 ? Re: PzKpfw V Panther....the best tank in WW2 ? I don't think the Isreali's bothered to much using Shermans up to the Yom Kipur War. By that time the leo 1 got several upgrades and they were designing the Leo 2 (with massive perforated steel armour blocks). In theory even the Centurion would have been replaced in the fifties. And yes, the Soviet designs were not that spectacular strong at a certain period, but even they were mostly older designs (+10 years before). I don't think the Panther (besides its drive train) would have been that useless post-war. The later Panther were rolled plate, yet non hardened face any more, because even the Germans started regarding it as useless. 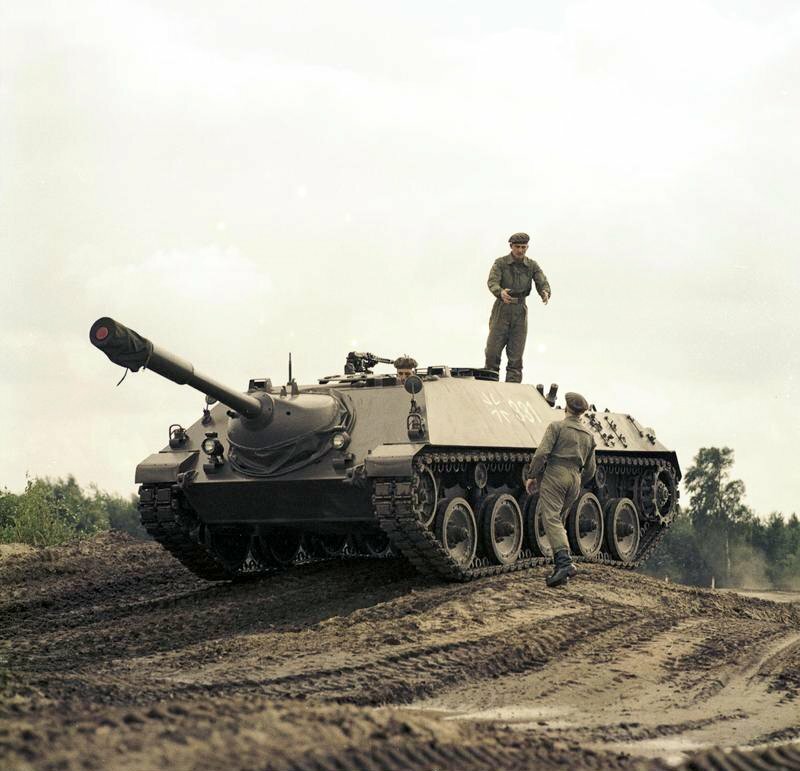 The centurion was given different guns, upgraded and redesigned in armour, engine and even wheels and suspension for the same reasons as there are given to the panther. If all that would not have happened, the Centurion would not be the famous tank it is. The Panther was examined by British AND French. Both did see qualities. And why wouldn't the West Germans with Panthers would have been NATO? Exactly, Pz IV production line was mostly unaltered, while the Panther was streamlined under Speer's ministry along the way of design. The construction principle alone of the Panther (selfbearing welded hullplates) made it cheaper in concept. The fact it costed less more than it used more in materials vs the Pz IV explains a lot. I've read (but can't remember, perhaps here) that a Tiger costed 2.5x as much as a PzIV and 2x as much as a Panther, making the Panther only 25% more expensive as a IV. The reliability of the IV is point of interest though. 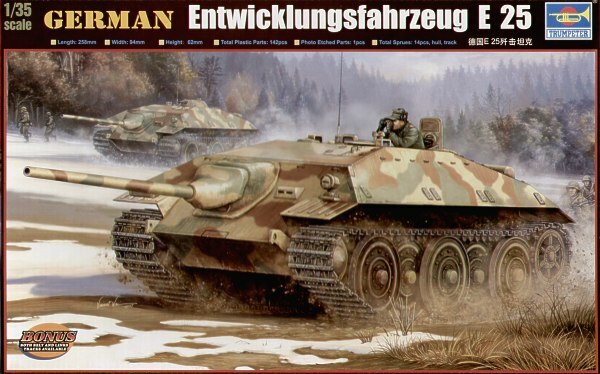 The Centurion was capable of being upgraded the Panther was at the end of its path and due to be replaced by one of the E Series with the Schmallturm? turret being an interim on the Panther F.
The French did use the Panther post war and they were very scathing of it in their reports with numerous serious problems (the French used the Panther for longer than the Heer and had access to all the German spares (producing many themselves) as well as trained crews and maintenance personnel. German policy was for moves over 25km to be done by train, drivers not to use reverse, engine revs reduced from 3500 to 3000 (handy when turret traverse is dependent on engine revs - increased full turret traverse at max revs from 15 to 18 seconds) all to try and save what little life the drive train had. Couple this with the need for drivers to be experienced but due to manpower losses drivers going straight from driving schools to Panther units and learning in combat (having been taught on a motley collection of old or captured vehicles many converted to Holzgaz). The Sherman 75mm could penetrate Panthers side and turret side armour at 1500m the 37mm and Bofors AA could penetrate it at 600m, ammunition was stowed in such a way and with no protection (just below the turret ring) that penetrating hits often caused fires (as bad as the old dry stowage M4's). By late 1944 early 1945 though the Panther and Panzer IV were both being made in a more value added version which had negative impacts on their abilities. The thing I'm focussed is the fact that the Panther was not blazed away by the Centurion in the first tests. And the E-50 was very much related to the Panther. There are some remarks about the Centurion being new and the Panther having experienced crew. But I wonder what they are talking about there? the first Centurion had around 80mm armour (might be less) just as the Panther had on the glacis plate. Was this cast? or only the turret? And wasn't there an armour upgrade with thicker plates, completely according to the almost classic deflection theory? the Turret however is a +150mm thick beast of a cast "bell". And the last point: Side and rear armour of the famous Centurion? first 38, then 51mm. Ah, but sloped? hell no. What difference with the Panther? the most upgrades I've seen on Centurions are bolt-on or placed-on second generation armour and new guns. Nothing a Panther couldn't have had. Nor could the Panther have got a (turbo)diesel eventually. Final Drive? yes, why not re-engineering that one (during peace time)? Working on a better Panther was hampered by the war effort anyway, no? The only feature a Panther (and later generations) might suffer from was high profile. It's clear that The anther has a huge heavy hull, The Centurion has the focus on a higher turret. All this relates to the suspension design of course (and the German doctrine of interior space). Even the IV saw combat as late as in the 1960ties. Last edited by steben; 08-19-2013 at 02:20 AM. Israel used pretty much any serviceable tank they could get hold of, My comment was not to say that War time Tanks were useless, in particular the Israeli Super Sherman, just in that the Panther (since we were speaking of it in particular) would not be able to stand against the 60's-70's cold war MBT's any better than any other older, or even contemporary designs would. In the cold war, no tank was heads and shoulders above any other one really,in terms of survivability. All were vulnerable to the main guns, and munitions of their respective adversaries. The differences in NATO, and Warsaw Pact armor was in fire control, and things like having a turret floor, and ammo storage. I personally would not want to run super Shermans against a modern MBT but the Israeli's seem content to do so, and that's their business. Having been in a Panther, (the example at the Patton Museum of Ft. Knox was open to allow visitors to get inside) It was not roomy at all, built like a submarine with everything fitting tightly in the interior, and the crew having to manage with limited working space. This is a condition also found in the later Leopard though to a lesser extent. It was fairly roomy. but had protective wire screens to keep arms, and legs out of harms way. The Sherman was no different, I've been in several of those, and even the Jumbo which had a larger Turret gave little elbow room. Particularly the Jumbo's fitted with the 76.2mm gun, which needed a different ammo stowage set-up that took even more room. A tank may look quite huge on the outside, but there is an amazing amount of machinery, and equipment shoehorned into it that consumes the Lion's share of space. Last edited by tankgeezer; 08-19-2013 at 01:29 PM. 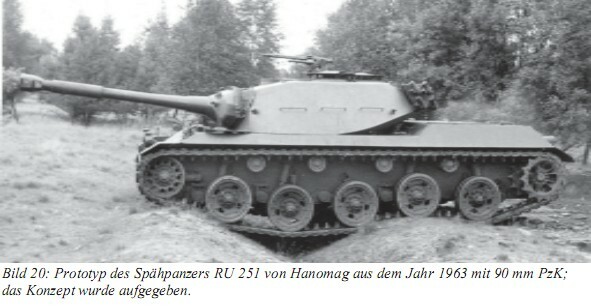 Still no proof why some tank could have been used post war and the Panther not. It didn't have a weak power plant, the centurion was weaker and also petrol. Interior space was not smaller than other WWII-era designs. Driveline, yes, already spoke about that. Again, what makes a post-war tank that succesful? I haven't found a decisive answer to what kind of armour the Centurion uses in the hull, except it's 76-77mm frontal in the original, less than the Panther. Certainly, the Centurion only can be called "one the designs in history" because of the upgrades. No way the original mark I was that spectacular. the question is: what made the Centurion so easy upgradable? because that is the secret of reaching that aura. Well, at first you said Use of the Panther in the Cold War era, and that I have answered inasmuch as I understand your statements, and questions. The immediate post War period is something different, the Cold War was then just beginning. The secondary consideration is numbers of useable vehicles extant, and spares for them. France got lucky, and had enough of both to make some decent utility of them for awhile. The T-34, as well as the Sherman series were available in vast numbers, as were spares. This alone makes them attractive to Nations whose pockets are a bit light,and to them worth serious consideration until such time as they were able to buy something better. The Panther was just not a good enough deal to make it worth producing parts, for so few vehicles. I don't know your age, or industrial experience, but something as complicated as a Panther is difficult to produce new designs of components for. There has to be a balance of components say, in the drive line, too much power from the engine, and the transmission/differential will fail prematurely, or overload the complicated suspension system. Doing a redesign of new components for an existing machine is expensive, and time consuming in that this balance has to be determined through testing as much as drawing board engineering, and metallurgical assessments as to which materials will work with the rest of the machine producing a longer meantime between failures. This may be worth it if you have many thousands of hulls, and turrets at hand, but perhaps not so much for a few hundred. As to the metallurgy of the Centurion Hull, I have no information about it. (Although I did speak as to how armor was becoming less important due to the appearance of modern types of munitions that were able to penetrate any type of armor then available, and far in excess of any thickness capable of being carried by any Tank.) Other than the foregoing, I can only say that had the second hand Panther been the answer to the defense ministries of the world's prayers, they would have been used. With the exception of the French, they weren't. Last edited by tankgeezer; 08-19-2013 at 08:36 PM. Ok. IIRC, the main issue would have been the complete drivetrain of the Panther, making it a very complex and expensive road to follow if one wants to "recycle" a design post war, where other tanks (sherman and T34) could at least be driving around immediately without to much unreliabilities. The armour question seems much less important, almost unimporant compared to the irrefutable major problem of the mechanical issues. In a nutshell, Panther could have been redesigned towards a good and useful vehicle, but it would have been a waste of time and energy, because of designs and tanks as good as the Panther without the needless surplus effort. Makes sense. The Driveline was pretty sad indeed, the engine was a good one, but everything else, not so much. One other important reason was that so few remained intact enough for use by the War's end. The PZKW IV was utilized for some time after the war. So perhaps quantity available was a factor. So much was still in stores for the Sherman that surplus parts, and assemblies were sold to Companies that produced construction, and Logging equipment for incorporation into their machine designs, mostly transmissions, differentials,tracks, and suspension stations. Complete vehicles were also sold for commercial use. One was used by a State Hospital or some such, as a Dozer/snow plow, and when they were finished with it, they buried it on the facility's grounds. It was rediscovered, and eventually recovered by collectors. Even some pz IV's were still active in the Israel - Libanon war of 1982 ... no Panther. People do say that the Panzer IV remained in service for much longer as there were more of them built but seem not to realise that in 2 years almost as many Panthers were built as Panzer IV in 9 years. It seems reasonable to expect therefore there to be more Panthers available post war than Panzer IV's. The last model Panzer IV with only a two speed manual turret traverse but bigger fuel tanks was such a retrograde step that that model would surely not be considered for post war use either. I believe the Soviets summed it up for the Panther - units could use captured examples but were to abandon them when they broke down, Panzer III and IV were reliable enough for them to use their workshop space to repair. If the war had continued or Germany had been allowed to construct new tanks I would assume it would have carried on with the E-Series which were to replace the Panther in late 1945 anyway. The Schmalturm (Ausf F) being adopted for the next version precluded the use of any bigger weapon then the 75mm L70 really (although I did see claims that it was to mount the 88mm L71 - seems a bit fanciful and I did not have the sources claimed to check, I believe the claimant to have got confused with the E50 project). I'm stil convinced that the E series, especially the E50 vs the Panther, would have been further road away from efficient tank design. All medium to heavy E series were Big Panthers or sligthly bigger King Tigers. All problems would have been repeated. Seriously thinking about casting capabilities would have been a step in the better way of thinking. Although it was not really the efficient alternative in designing tanks, the Tiger I was for its career tactically more succesful than the Panther, of which way to many broke down. The Panther looked "fancy", if such a thing exists for tanks, and had interesting features that would have influence later, but it seemed the diseases were not to go away soon in new designs. If the war progressed the E series were to replace the Panther anyway - although of course the Germans stopped, cancelled, restarted, cancelled and built so many different projects it is hard to really know what would have happened. The E-Series were to use as much as possible common parts and design so being a family of vehicles (although they had already strayed from that). With the ending of the war and therefore more time for development I would still assume the E - Series would have been the basis for new vehicles instead of a chassis that was already 10 tonne over its original design weight and with numerous serious problems with the design and implimentation. I understand, but aren't the E series already tonnes heavier than needed as well? E5, E10, E15, E25, E50, E75, E100 were the rough family with the different chassis being used for a family of vehicles in that weight class and having componants compatiable as much as possible with more than one range of vehicles. The Centurion weighed 40 tonne at the start and with upgrades crept up to 50 tonne but the chassis drive train and suspension could cope, the Panzer IV had reached its limit and needed such a major redesign it was not worth it, the Panther's chassis and drivetrain likewise designed for a 30 tonne vehicle and ending up at 45 tonnes, not much room for improvement without major redesign of the whole vehicle - new replacements already on the drawing board and in a few cases prototypes already in production - use the knowledge you have to design an improved vehicle. Facts: the only real WWII concept that survived in (W) German armour design was the Jagdpanzer IV combined with Stug III - like suspension: the Kanonenjagdpanzer ("Canon hunting tank"). It reminds me a lot of the E-25 tank hunter though, especially the double angled front with the large wheelset dismissed for classic size wheels with torsion bars and introducing rear drive wheel. One of my favo post-war vehicles. Belgium bought as only non-german country couple of tens of them. Combined with our Leopards and Gepards, we were in fact quite "German" equipped in those days. Again, the concept of the KaJaPa shows that post-war German design was - how influenced it might be - far superior to late-war design, probably due to development "space and time". Image of the E-25 series. The KaJaPa was developped in the late 1950’s when the German started develop a "leichten Panzerfamilie" (light armoured vehicle family). The main design was a common chassis. Sounds familiar! This family included light tank (to replace the M41), the tank destroyer as displayed above, a self-propelled anti-tank missile vehicle (the Jagdpanzer Rakete) and an armoured personnel carrier (the Marder Schützenpanzer). The light tank however (Spähpanzer Kette (reconnaissance armoured vehicle tracked)) got its prototypes in 1963. It mounted the same gun as used in the Jagdpanzer Kanone. By that time the Leopard tank was in production. The true MBT doctrine that took over dismissed the existence of the light tank. Later however the wheeled Spähpanzer Luchs was eventually developed to take back this role from the Leopard. Picture of the the Light Tank prototype Lovely sloped armour! The Leopard (I) eventually shared a lot of this design's properties, albeit heavier and more powerful. The MBT70, never-mass produced German-US project, resembles it as well. Last edited by steben; 08-22-2013 at 03:59 AM.